As part of Collin County Ear Nose and Throat, Dr. Keith E Matheny provides the full spectrum of otolaryngology, with an emphasis on pediatrics, balloon sinuplasty, snoring (including Pillar & Celon techniques), and hearing rehabilitation. His practice offers allergy testing and immunotherapy via injections or under-the-tongue drops. Dr. Matheny also offers options for facial rejuvenation by serving as medical directory of Avanti Skin Center Willow Bend. He and his partners are the exclusive ENT consultants for Plano ISD and Frisco ISD. Dr. Matheny has numerous scientific publications and currently serves in multiple hospital leadership positions. Dr. Matheny has 8 publications as primary author or co-author in peer-reviewed scientific journals. He has given 10 institutional, national, and international presentations on his research interests and otolaryngologic topics. He also is a designated speaker for several pharmaceutical and medical equipment companies. 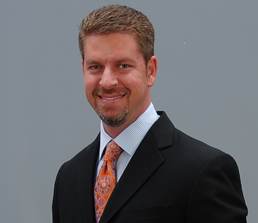 Dr. Matheny was born in Miami, FL and grew up in Plano. He has been married to his wife Kelly since 1994. They have 2 elementary school-aged daughters, Megan and Madison. Read More About Keith E. Matheny, M.D.